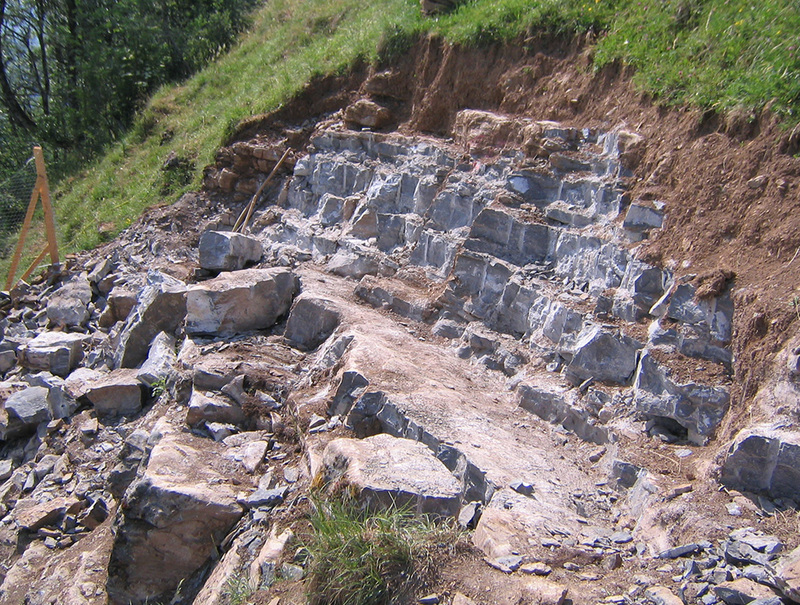 Stoneworks Lippert has more than ten years of experience in dry stone masonry. As part of the pure tradition, this technique is used both for traditional types of work and for contemporary and modern projects. Entirely ecological, using no binding agents, it requires very specific skills, including expertise and precision in the assembly, cutting and setting of stones. As a specialist, we are able to meet your needs and desires. Following the same procedures as used in the construction and setting of dry stone walls, Stoneworks Lippert also carries out all types of paving and tiling for both interior and exterior spaces. Take advantage of our experience and ask us for a design proposal. Based on your needs, your home’s architecture and its environment, we will guide you through the selection of the most suitable natural stone and provide you with different solutions for your ideas. Linear, arc or motif paving, tiling using rectangular, square or polygonal stones: the possibilities are almost endless for a unique and personalised result. A natural stone construction can take on many appearances. 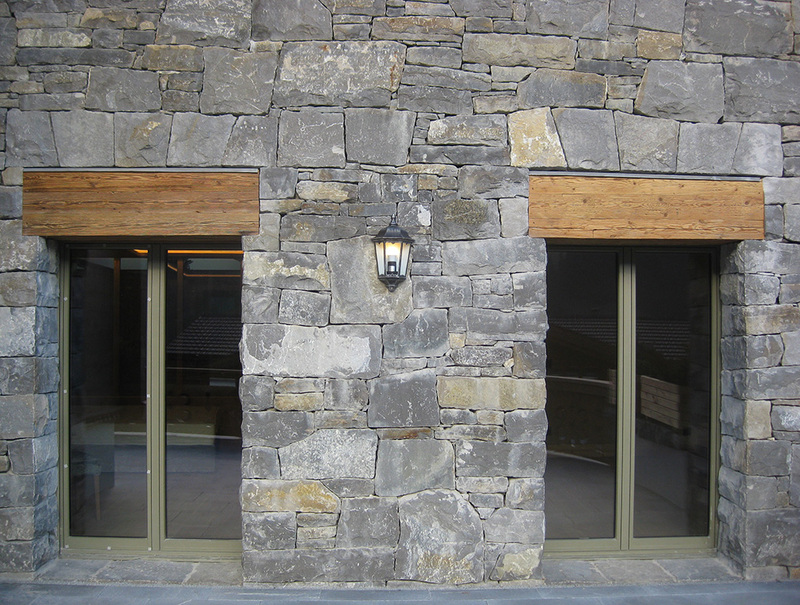 Stoneworks Lippert can offer you different custom choices for your facades, door and window frames or interior walls. Natural stone cladding can be used in a wide variety of spaces such as residences, domestic interiors, public buildings, and can be applied both to the restoration of older buildings or the enhancement of recent homes. Designed and set with care, they can be built in as many styles as there are types of stone, and blend perfectly with other quality materials. 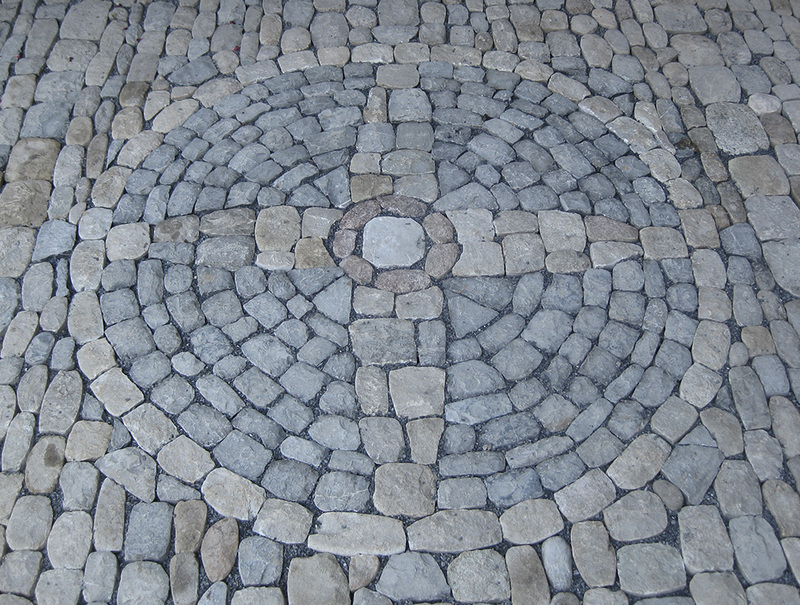 Stoneworks Lippert is able to meet your most demanding needs. 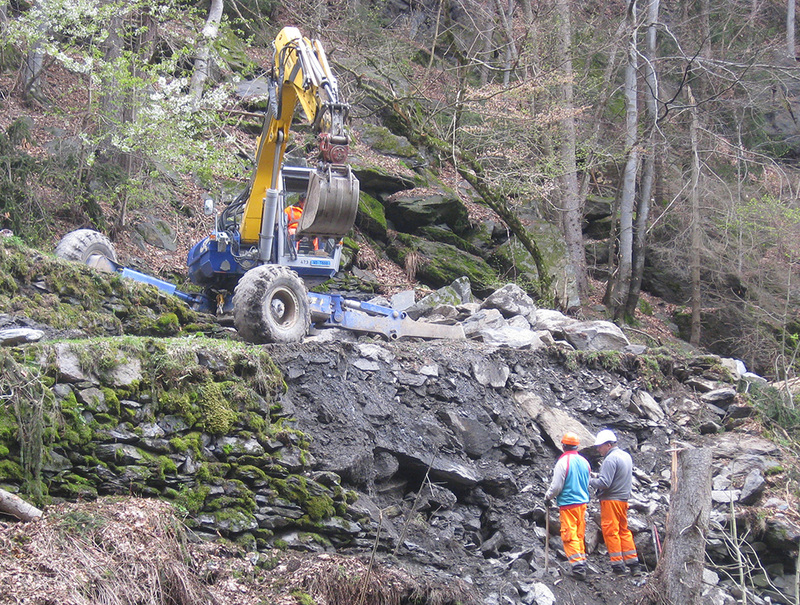 As such, we can complete restorations or constructions using natural stone in difficult locations, on slopes or in hard to reach/extreme locations. Our skills allow us to work with a minimum of material needs while benefiting from modern logistical capacities. The foundation of dry stone masonry is respect for the landscape and the use of local materials found in proximity to the projects. During extraction projects, we take care to ensure that the site and its environment are not damaged. 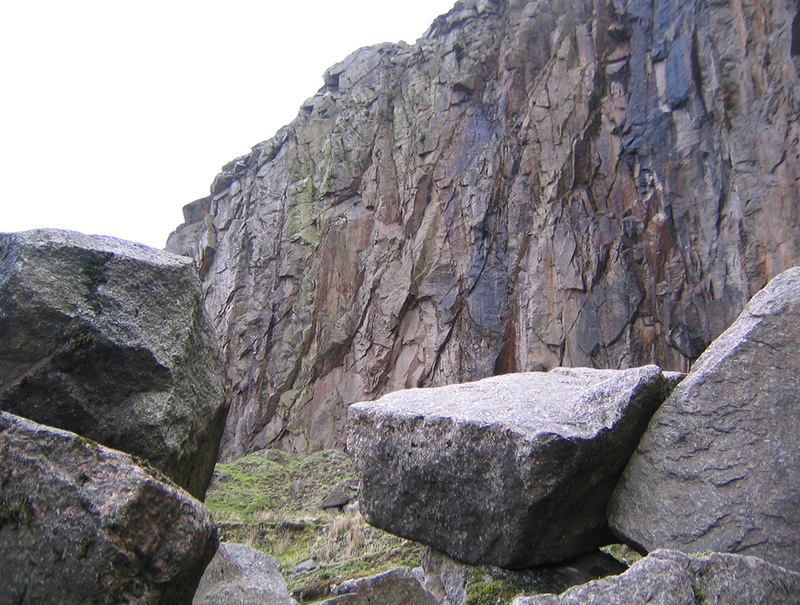 As such, the stones are protected from micro-cracks that can reduce their resistance and/or their longevity. Dry stone structures are aesthetic, respectful of the environment andperfect for highlighting your green spaces. With our experience and know-how, Stoneworks Lippert designs all types of work: support walls, fences, boundary elements or stairs based on traditional building techniques using natural stone. Dry stone walls offer numerous benefits for your garden: in addition to acting as a natural habitat for fauna, they also offer excellent drainage qualities, ideal for the development of the surrounding vegetation. 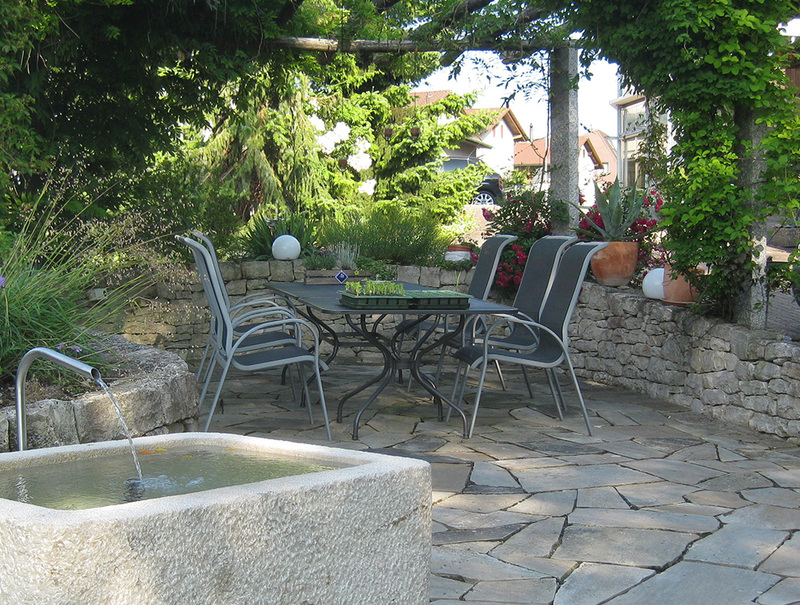 The design of a green space is not limited to the construction of stone structures. In collaboration with Terra Floralis, we also work with you to design and construct a global concept to highlight your green spaces, including natural stones and vegetation. Granite, sandstone, shale or limestone: each natural stone has its own specificities, which need to be taken into account when creating a durable, quality structure, which is aesthetically pleasing. Stoneworks Lippert is available to provide you with suggestions for materials that best suit your needs and project. We also select the best raw materials to ensure that your project is unique. Handed down through the centuries, the art of building with dry stone is based on the principle of using materials in perfect harmony with the local environment. That is why whenever possible we use stone found on the worksite or, if not, locally from neighbouring regions. Our objective is to design forms and volumes based on the natural and historical characteristics of the location. Beyond dry stone masonry, Stoneworks Lippert SARL’s services include planning, managing and supervising work. Our experience in team and worksite management allows us to offer high quality supervision throughout your project, from the choice of raw materials to the setting of the last stone. Because dry stone masonry know-how requires knowledge and extensive experience, our company also offers its services for surveys, feasibility studies or appraisals. As such, we work with communities, organisations and individuals in the preparation of calls for tender, defining clear and precise requirements to ensure the creation of durable, quality constructions. Additionally, during major projects, Stoneworks Lippert Sàrl is available to give you advice in the preparation of applications for various types of financial support and grants.